Welcome Back to Pelican Lakes! The 2017 season is upon us and at the Pelican Lakes Maintenance Shop we are eager to get the golf festivities underway. I am Jeff Orr, Superintendent at Pelican Lakes Golf Club in Windsor. I manage two assistant superintendents, 30 seasonal employees, and five other staff members who help make the golf course an attractive place to spend a day. I have appreciated the positive feedback as well as suggestions I received at the end of last season. I realize everyone comes to Pelican Lakes Golf Club for different reasons. Maybe it’s to enjoy a cold beer on the patio and watch the sun set over the 10th and 11th holes, or to enjoy my favorite thing to do out here – a round of golf. Everyone at the Maintenance Shop wants you to come and enjoy our sanctuary. Therefore, I would like to inform our customers about the efforts to improve the playing conditions at the golf course this year. Our initial focus will be on the front 9 at Pelican Lakes. We plan to sod the sixth fairway and the approach area on 9. This should wrap up our major fixes on this part of the golf course. After those larger repairs, we will shift our focus on the smaller areas on the front 9. Our goal is to make this area play beautifully as it looks. At the Maintenance Shop we are not only taking care of the golf course, but there are a couple of other areas we maintain. Those include the Event Island, the Water Valley office buildings, and the Grillhouse Restaurant at Pelican Lakes. 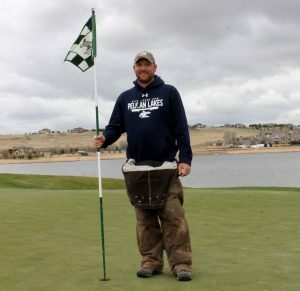 We take pride in knowing that not only the 27-hole Pelican Lakes facility benefits from our great care, but so do other areas within Water Valley. Maintaining the golf course and buildings that surround it aren’t our only tasks. We will also address the Cache la Poudre River’s possible vulnerabilities and continue to alleviate any potential flooding. We forecast this to be completed prior to any major play this year. If you have any further questions or suggestions please contact me at jorr@watervalley.com. We appreciate all you do to make Pelican Lakes and Water Valley a unique and special place to enjoy. I truly look forward to seeing all of you this season.